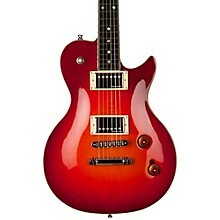 The Godin Summit Classic CT is a scorching & versatile rock machine for the ages! It features a beautiful sculpted maple Carved Top (CT), an incredibly light weight & resonant chambered mahogany body, a mahogany set-neck with a bound Richlite fingerboard & headstock, large dot inlays, the Godin High-Definition Revoicer system, and Graphtech ResoMax bridge. 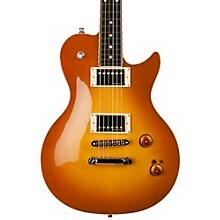 The Summit Classic CT is powered by Seymour Duncan humbuckers. The H.D.R. provides extra bite, dynamic response and redefines the character of each pickup. It’s like having 2 sets of pickups in 1 guitar for 3 pure passive tones + 3 pure active tones.